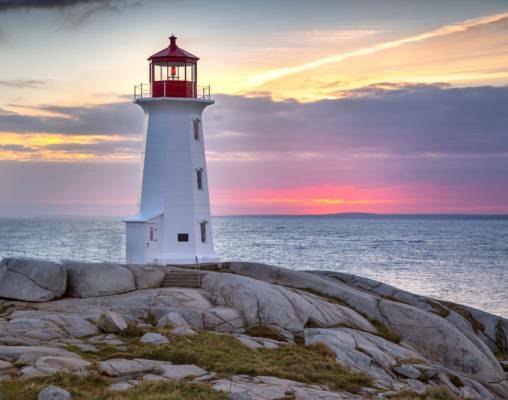 Canada’s coastline has so much to offer, from wineries and national parks to charming towns and UNESCO World Heritage Sites. On this 12-day journey, we will have the chance to see some of the very best this region has to offer. 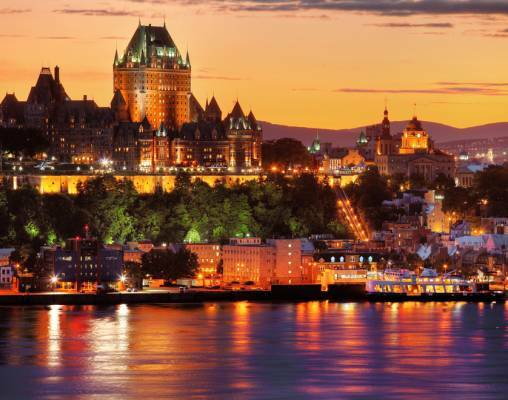 The tour begins in Quebec City, a city that has origins and architecture dating all the way back to the early 1600s. 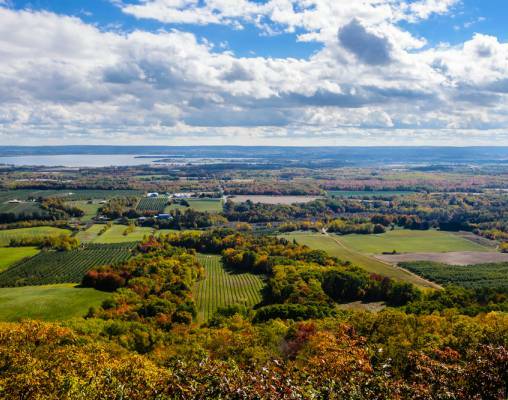 After sightseeing and experiencing the undeniable culture of the city, we will board VIA Rail’s Ocean for a ride along the St. Lawrence River and overnight out to Moncton. Upon arrival in New Brunswick, our true coastal adventure begins. 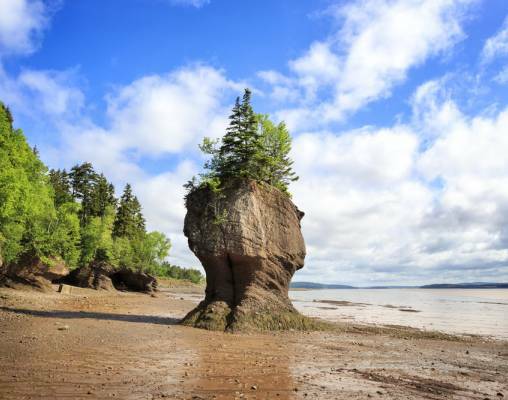 You will see the tides swell in Hopewell Rock Park, enjoy a ferry ride across the Bay of Fundy, and see historic sites, museums and lighthouses. Along the way, we will get in touch with nature at two national parks, Cape Breton Highlands and Prince Edward Island National Parks. 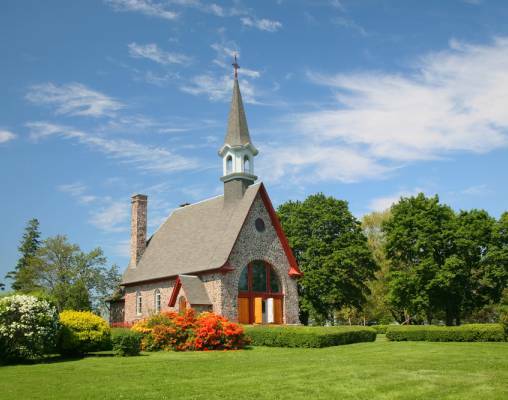 Exploring the Maritimes has never been more exciting. Bonjour! Arrive in Quebec City today, and transfer on your own to your hotel in Old Quebec, where your tour manager will greet you. Check in and unpack, then you will meet your tour manager and fellow travelers in the lobby between 3 and 6 pm. The evening is yours to explore the unbelievable culinary scene or to take in the beauty of the city as evening falls. Overnight Quebec City, QC. 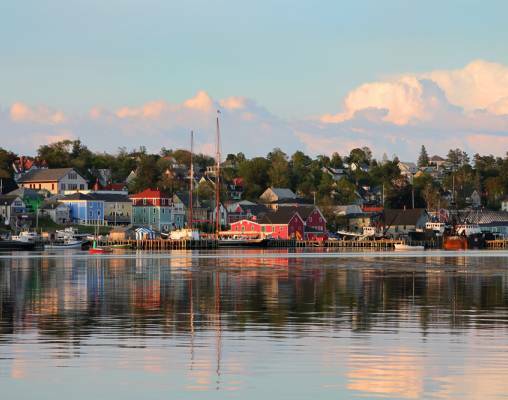 Hotels include Hotel Manoir Victoria (Quebec City), Hilton Saint John, The Westin Nova Scotian (Halifax), Inverary Resort (Baddeck), and Delta by Marriott (Charlottetown). 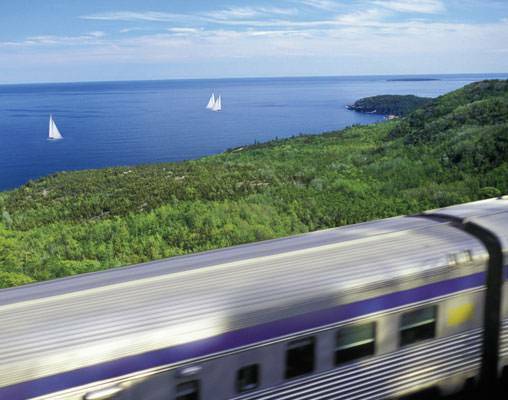 This overnight train offers stunning views of Eastern Canada as it makes the journey from Quebec City to Moncton. While aboard the Ocean, enjoy such amenities as fine cuisine in the Dining Car, free Wi-Fi, wine tastings and beautiful views from the domed sightseeing car. Travel aboard the Ocean will be in Cabin for two accommodations. These are private bedrooms and include two folding chairs or a sofa by day that convert to upper and lower berths at nights. An en suite bathroom is included. Enter your details below if you would like to be notified when 2020 dates and prices are available for Quebec to the Maritimes featuring VIA’s Ocean.